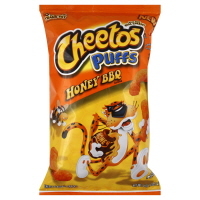 Must Try Food: Honey BBQ Cheeto Puffs. These Cheetos are the best things I have found in a long time. At first, I thought cheese, honey and bbq would be gross as a cheeto, but once I tasted a few, these were all I wanted. 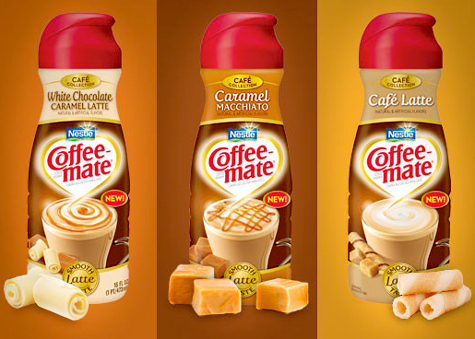 It appears they came out about a month or so ago (or rather that’s when I first discovered them), and shortly after I tried them, I thought they were discontinued. I just recently found them at Kroger grocery stores. I find that the cheese is not at all overbearing in contrast to the honey, and the tangy BBQ ties everything together. Most people I know love these puffs just as much as I do, so hopefully, you will enjoy them as well. These are absolutely perfect! 5 stars, easily! Tell me what you think if/once you have tried them! 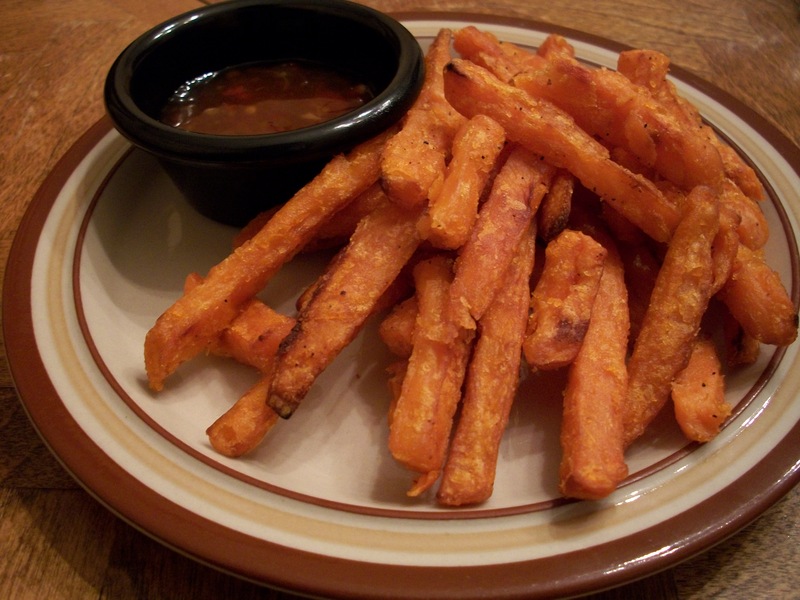 Yummy sweet potato fries (frozen then baked) with A sweet and spicy Asian Chili Sauce. White Potatoes vs Sweet Potatoes: ‘Tater Wars! Calories: 1 medium sized white potato has 128 calories when compared to the same size of a sweet potato which has 103 calories. Glycemic Index: White Potatoes are nearly 35 points higher than sweet potatoes. Potassium: White potatoes have 738.3 mg while sweet ones have 541.5 mg.
Beta-carotene: White potatoes have 8.28 mcg , where sweet ones have 13120 mcg. Holy Smokes! So what does this mean,folks? Sweet Potatoes > White Potatoes,though they possess different flavors. Alexia Julienne Sweet potato fries comes in a Family Size, low sodium variety that is sure to be a crowd pleaser. After baking them according to the directions, you can be sure that you will be satisfied due to the rich taste of the sweet potato. To make things interesting, I added a touch of garlic to combine the sweet, rich flavor and a savory note that I was happy with. (If adding garlic salt, be warned that some of the moisture will be reduced, and your fries may end up a little shriveled.) Perfect with chicken, or burgers, these bright and healthy baked fries are fabulous! I even tried the chipotle variety because I wanted a more intense experience! These run about $4. Alexia Sweet Potato Fries Yumfactor: 5 tongues!!! 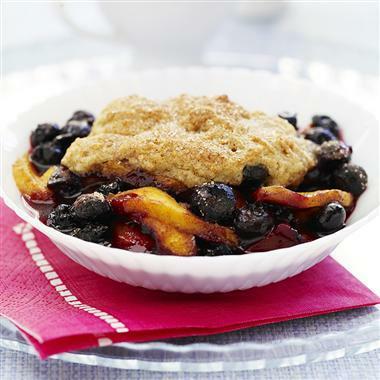 (5/5) These are healthy, fun and yummy! Think low-budget gourmet! Alexia Chipotle Sweet Potato Fries Yumfactor: 4 tongues and a tastebud. (4.5 out of 5) While fun, and blends savory and sweet, I find that the addition of chipotle can inhibit eaters from adding a variety of flavors, and may clash with whatever else is being eaten with it. IT is yummy, and perfect for barbecued side dishes, or as a snack on it’s own. Asian sweet Chili Sauce- a great dip. Tip: For an exotic touch, use 2 to 5 tsps. 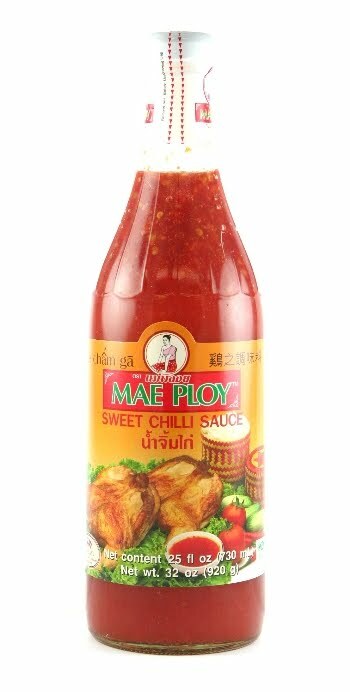 of Asian Sweet Chili Sauce as a dip, or even garlic Mayo. This dip gives the sweet fries an exotic depth that is irresistible. Mio Water Enhancer:Because regular water just isn’t fun anymore. 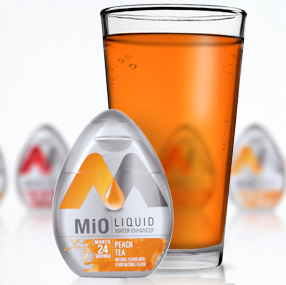 Mio has released commercials of tiny silver bottles that add flavor and color to your water. I purchased this item at Target about 2 weeks ago, and was happy that I could practice a healthy lifestyle, while making my water less boring. Yes, I went there. We all know that water is incredible for health, but let’s be real- it doesn’t always taste fun, and I’m a fun kinda girl! XD So this product was ideal! A little info about my water drinking history- I’d only drink it if I was parched, averaging at about 3 glasses/day. The sad thing was, I was totally okay with that. I had previously contemplated buying a fruit infuser for water to add a natural fruit taste to my water, but was concerned that the result would be watered down madness. So, seeing that I can buy a silver bullet looking product that can really pimp your water was cool. I paid about $3. 10-ish for 24 servings/ squeezes of water. Not bad. You can squeeze 1 stream into your water bottle, which yields a water down, bitter taste, or 4 for a more intense flavor- which may result in a Kool-Aid like flavor influsion. I bought the “Mango Peach” flavor, excited that I could use this to increase my water intake, and pose as a healthy option for beverage drinking sexiness. So how healthy is this? Og of: Fat, Calories, Sodium, Protein, Sugar, Sat./Trans Fat,and Carbs Not bad at all, however, let’s look at the ingredients, shall we? Water, blah, blah,blah, citric acid, blah, Ah! Sucralose and Acesulfame? So there is a small amount of sugar in the content, which is fine, but the only problem is not knowing how much sugar is in it. I have seen some other water enhancers that do not have any sugar at all, but obviously the taste will be compromised. Again, I still think 3 squirts of these in a bottle of water is much healthier than concentrated juice, or the dreaded soda. Yikes! High Fructose Corn Syrup! :O Def. is a must try, but hey if you like your water the classic, watery style, then it’s all good. Other Uber cool flavors: Strawberry Watermelon, PEach Tea, Berry Pomegranate, Fruit Punch, and Sweet Tea. I like this stuff, and plan of buying more, because I’m too cool for regular water8). Except for Fiji. That stuff is awesome. MiO Water Enhancer Yumfactor- 5 tongues. (5/5) Cheap, fun, and exotic, you can be encouraged to drink more water with these. But of course, you can do what I do, and alternate between the party in a cup (MiO), to the party pooper in a cup (regular water). There are color additives, so that may turn some people off. Thanks to all the voters of my last poll! I really appreciate your input and participation. POLL/Question Time!! What Would You like me to blog about next? So it’s clear this food blog has featured many coffee creamer reviews, a copycat recipe and money saving tips, but is there anything you’d like to see from me in the future? (More recipes I have tried/reviews-not that I want this to become a recipe blog, less junk food reviews or more even, money saving tips, or health related content, or a little of everything?) Let me know, and if I approve, I’ll be glad to take your opinions seriously. Thanks! I’ve tried taco Bell’s original shrimp taco’ they had a few months back and was dissappointed. They were fried little shrimp with no seasoning that barely could be tasted because you’d get about 2 per taco. This time, I gave them another try (because I’m an optimist) and I truly enjoyed them. The shrimp was peeled and marinated in various spices, and rolled up into a little soft tortilla with tomatoes, onions and lettuce (and possibly cilantro?). There was a sauce that was spread on the tortilla, but I don’t remeber what it was specifically, with all the other seasonings going o, I couldn’t taste just one flavor. I hear it’s only available for a limited time! One thing I do like is that the shrimp is grilled as opposed to fried. 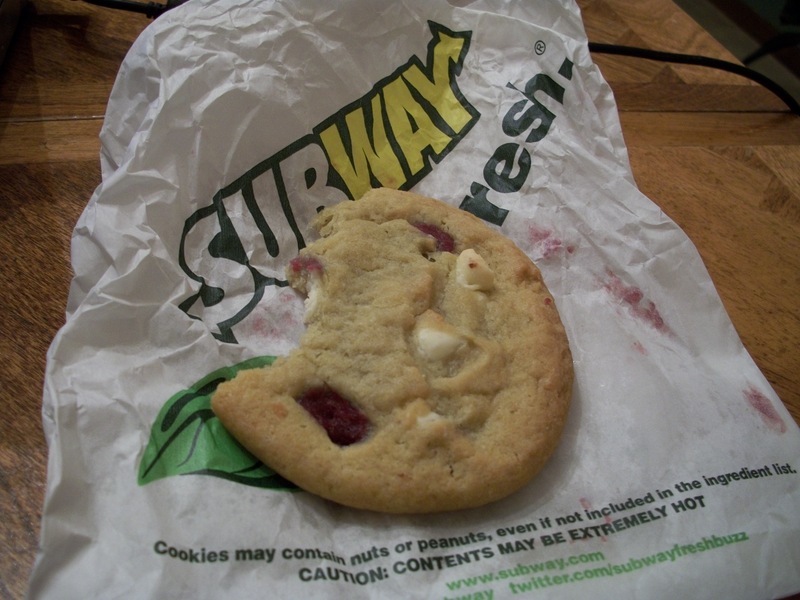 Sure, it’s still fast food, but my tummy can’t handle fried foods, so it does make a difference. Agree? Disagree? Think 210 Calories it still too high of a number for caloric intake per meal? Why not rate/ comment! Thanks for reading!